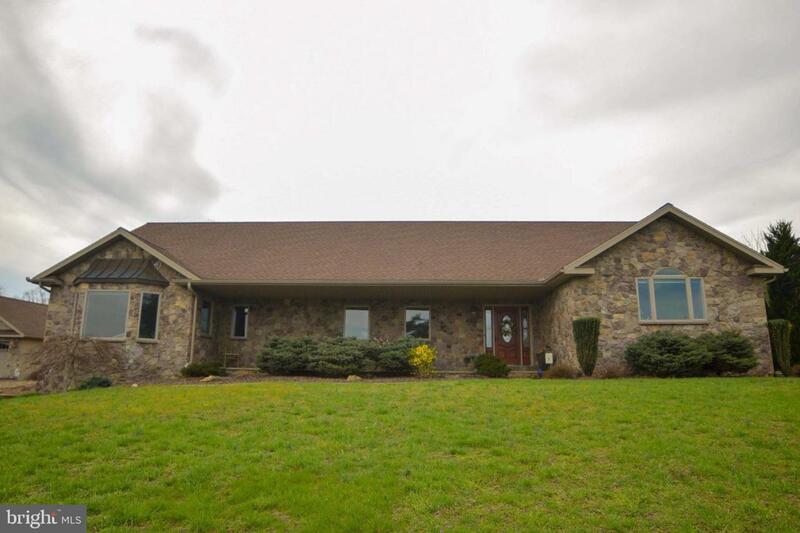 Located in Whispering Meadows subdivision, this Grad-Con custom rancher is nestled between historic West Virginia farmland on a 2.02 ac lot. Built in 2007, this home offers one-level living complete with an open floor plan and luxury finishes, The main level offers 3 bedrooms, 2 full bathrooms and a laundry room. The living room features a woodturning fireplace and the kitchen is filled with custom touches such as granite, cabinets, gas stove and multiple ovens. There is another full bathroom in the basement as well as a home gym. The basement is a blank canvas with plenty of unfinished square feet. Outside, the two car garage is close to the house and has plenty of storage place. Brand new heat pump installed Fall 2018. The property is convenient to Northrup Grumman, IBM and American Woodmark. Must see to appreciate!